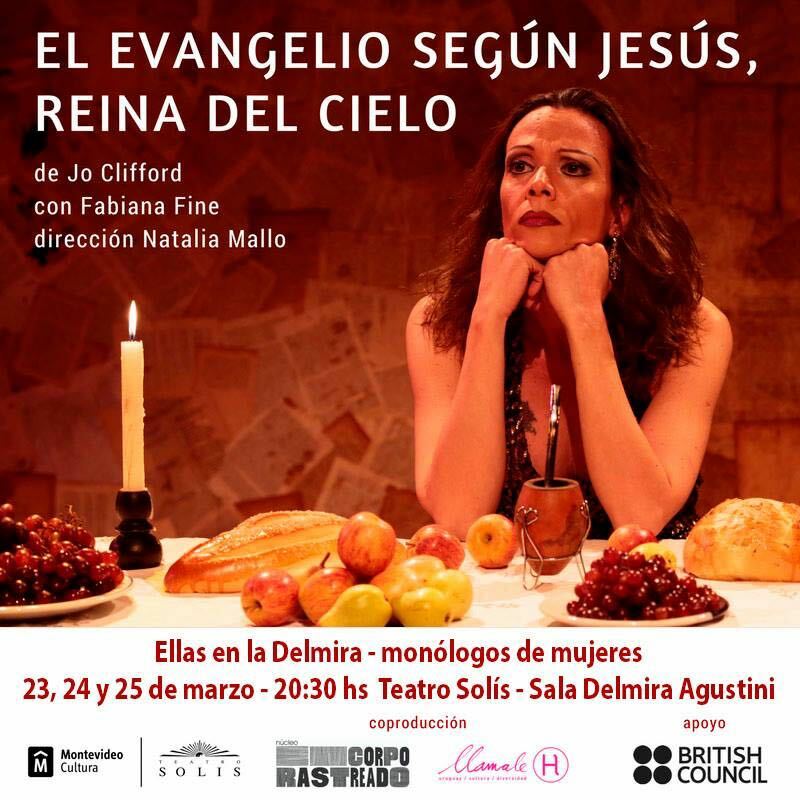 It's such a funny feeling being up here in the Black Isle knowing that at 1230 am our time she'll be taking the stage of the Teatro Solis with my "Gospel According to Jesus, Queen of Heaven". I wish I could see her to see how her performance has moved on since I last saw her in October. She was marvellous then, and I know she's been working on it most days ever since. Thinking of her, I so want to be there. And then I also want to be in Curitiba in Brazil on Easter Sunday to see Renata Carvalho perform in the Anglican Cathedral there. And that makes me feel a bit guilty because I know I should also start getting ready to relearn my words to perform her in Dumfries the week after. One reason I wanted to keep control of this show and keep it alive was because I knew people would keep wanting to see it. And I simply can't bear the way Scottish Theatre commissions and stages work and then mostly just chucks it away straight afterwards. But I really never thought this would happen.